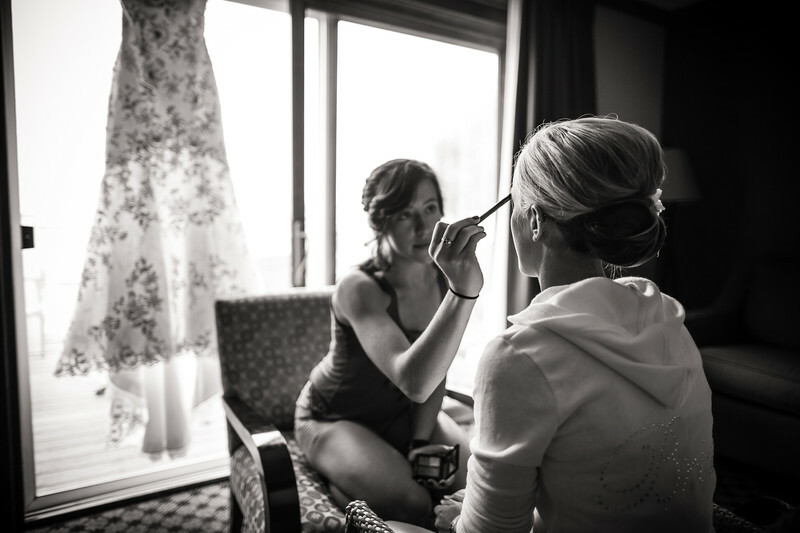 A bride getting ready for her wedding on Madeline Island on the shores of Lake Superior. This was a wedding I was really looking forward to photographing as it meant that I was able to make a visit to my favorite lake. Before this wedding the bride and groom had a first look. After that we headed to Big Bay State Park and made some awesome portraits. After the ceremony we photographed a few more family pictures and then it went on to dinner and a little dancing before I had to take the last ferry back to the mainland of Wisconsin. 1/80; f/1.4; ISO 100; 24.0 mm.